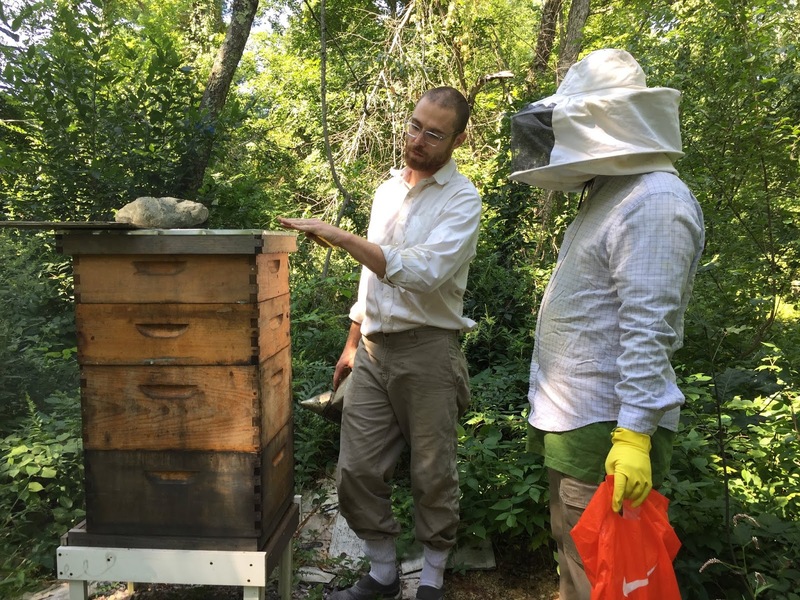 Over the summer, Myles Green, a local bee keeper, showed us his hives in Norwood. Here Myles explains bee care to Dan Primack. The bees know the smell of Myles, so he does not need to wear protective clothing. But Dan has to be well protected. 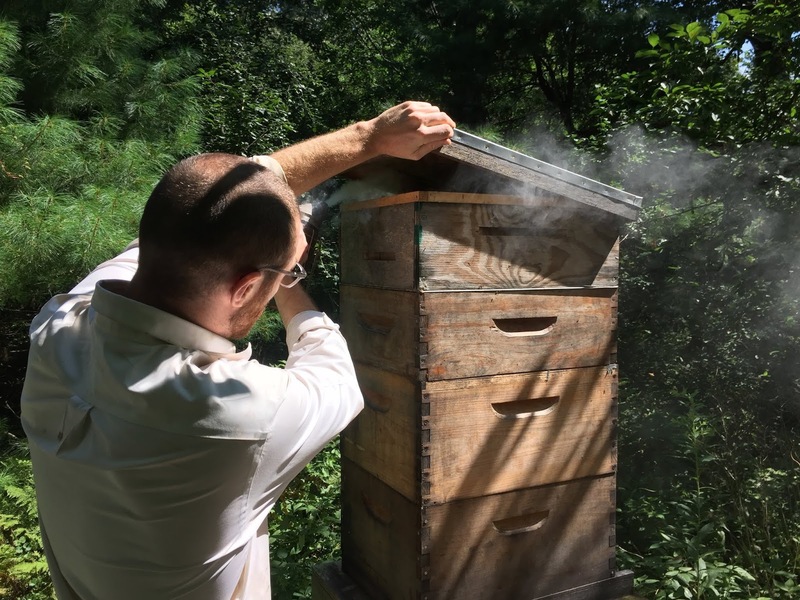 Myles smokes the hive make the bees more passive. 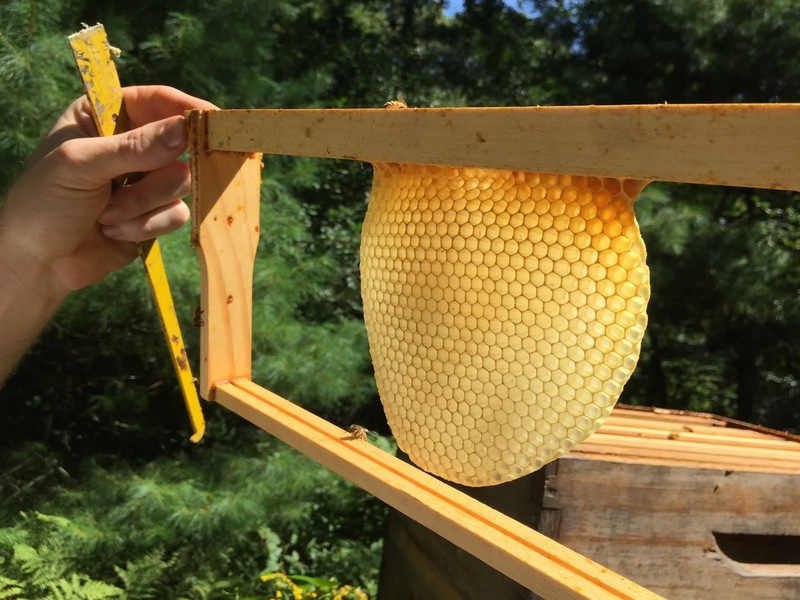 Opening up the hive, we see a new comb in which the cells have not yet been filled. Myles inspects a frame to determine the density of filled cells. In one hive, there is colony of ants with their eggs on the top level. 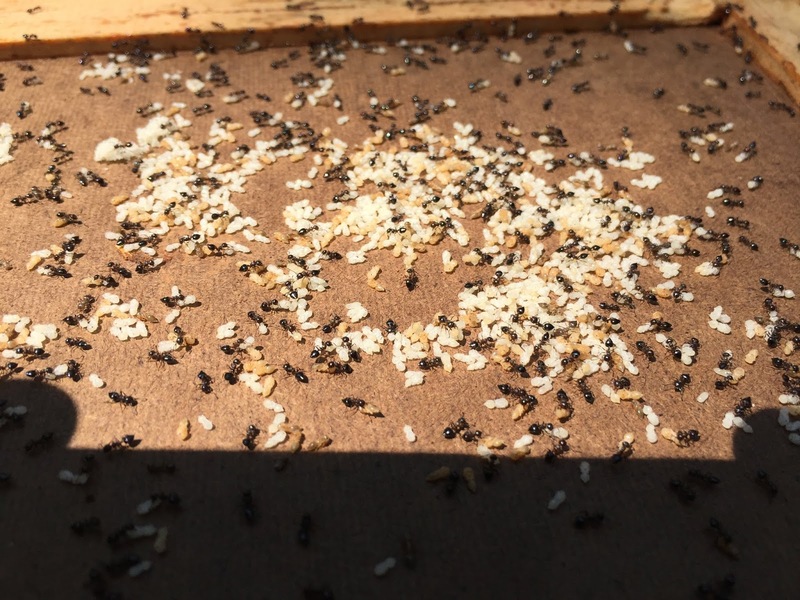 These ants cause a slight decrease in honey production, and so are swept off the hive. 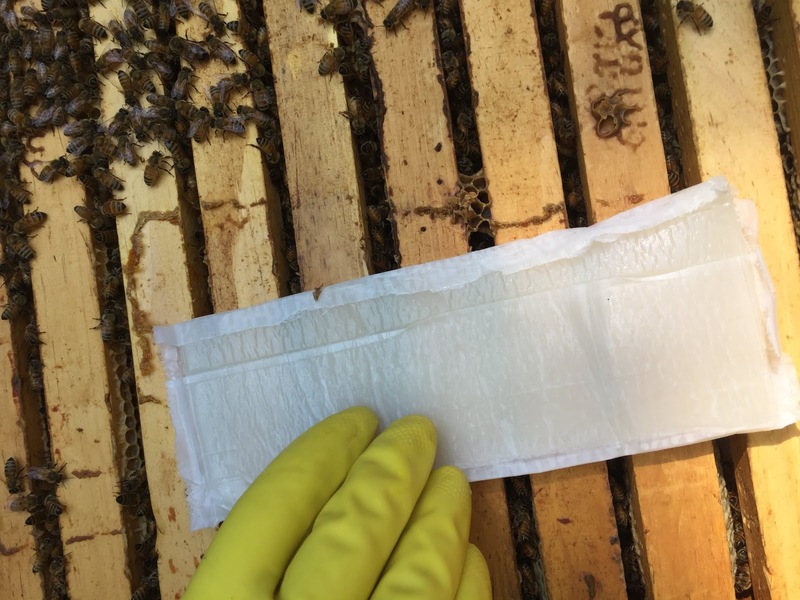 Pesticide strips are placed in the hives to control mites that parasitize the honey bees.